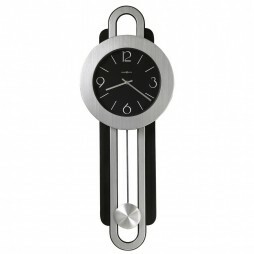 This wall clock is a symbol of uniqueness and perfect craftsmanship. 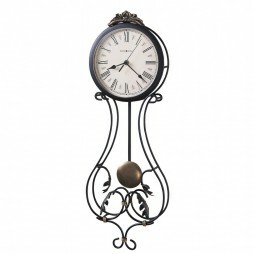 This impressive wall clock offers a rustic cherry finish with deep dents, gouges, and worm holes for an aged appearance. 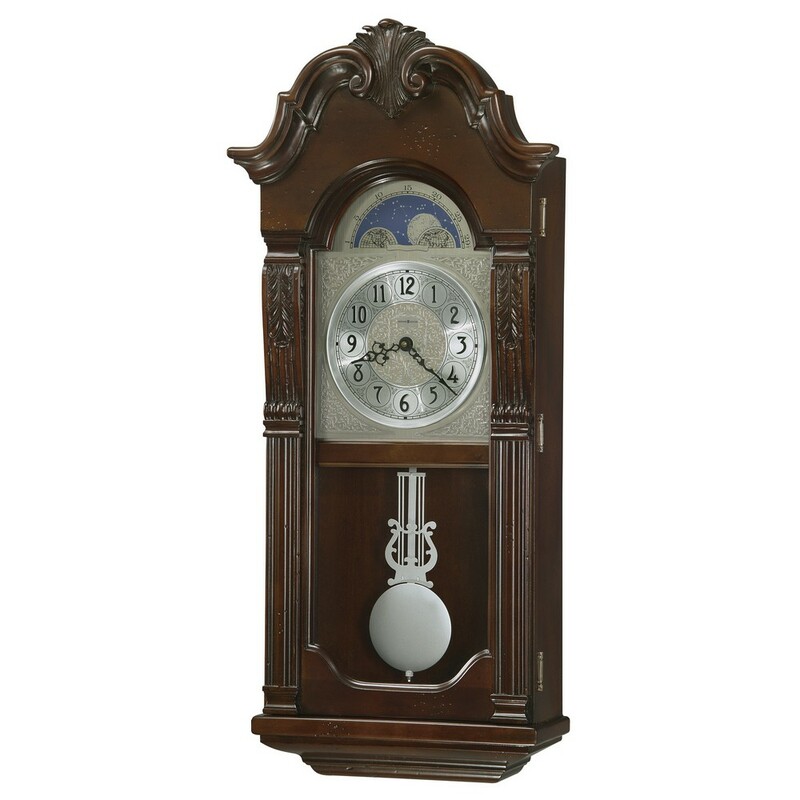 The etched dial features nickel finished corner ornaments and center disc, silver chapter ring with black Arabic numerals and black serpentine hands. The Quartz, battery-operated, triple-chime Harmonic movement plays choice of Westminster or Ave Maria chimes. Volume control and automatic nighttime shutoff options are an added an bonus. 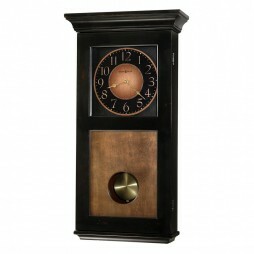 This clock is perfect for any traditional room. 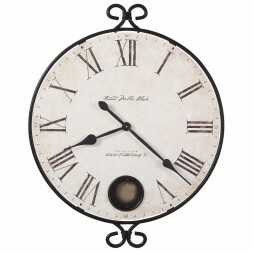 This wall clock’s dial offers etched, nickel finished corner ornaments and center disc, silver chapter ring with black Arabic numerals, black serpentine hands, and fixed black moon phase. Spun nickel pendulum bob with brushed nickel lyre complement the dial. Case features carved upper columns and pediment ornament.